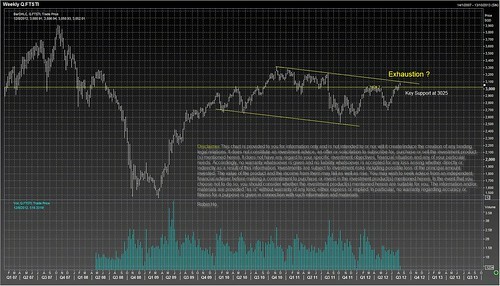 STI weekly chart has hit a top end of the resistance line. This current rally may be reaching exhaustion soon. Key support is at 3025. Any break below 3025 could potentially be a start of a medium term correction.